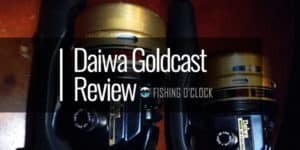 While anglers will tend to regard spincast reels as tools for amateurs and children, the product Zebco has taken time and tools to design a perfect product which beats all the doubts. The Zebco Omega Pro is a tool that is entirely made for a wide range of applications. As such, this amazing tool from Zebco fits adventure lovers, professional anglers and even those whose hobby is fishing when they are free. The company has invested in quality and design, making this product have its own unique elegance that is simply outstanding. This piece aims at expounding more on this product and why it is worth a shot. Both the pros and cons will be covered extensively, and this will aid all stakeholders in this industry. Spincast reels are stereotyped to be generally weak-the reason many anglers discriminate them. However, the Zebco Omega Pro is completely different. Zebco was able to maintain the use of aluminum covers as well as hard metal for the gears. The product also features a ceramic line guide as well as a rubber seal. Zebco notes while the material used to construct this amazing product is heavy, the overall weight is minimal, allowing for greater flexibility and flawless performance. The aluminum adopted in this case is the aircraft grade, which is ideal. Besides, this product works in all types of waters. You will therefore not worry about its durability, which to a larger extent is determined by the type of water body involved. The installation process of the Zebco is quite simple. There is a detailed manual from the manufacturer which aids in this. On the flexibility in usage, the recovery bit of the product is set in such a way that you are able to choose between the left or right-hand sides. The ceramic line guide is also essential as it facilitates the smooth running of the hook. You are also free to choose from a wide range of baits that this product can go with. This includes live baits, finesse lures, and even frogs. The best part is that both the casting and retrieval of these baits is easy as well. 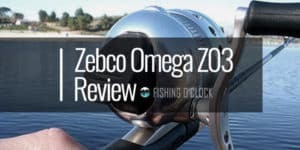 Other spincast reels will lack this unique feature, and this makes the Zebco Omega a leader in the industry. They have been able to include ball bearings (7) which further facilitates the smooth movement of the line. Breaking this feature down, the product is fitted with a roller bearing that is accompanied by 6 ball bearings. As such, it is evident that this product is ideal not for just the beginner but also for the experienced fisher. Zebco states that their Omega Pro Spincast is equipped with a gear ratio of 3.4.1. Gear ratio refers to the frequency of the spool as it circulates the handle. It is also linked to how fast an individual is able to recover his line using the product. 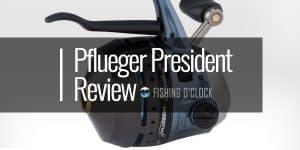 The Omega’s gear ratio is established in such a way that it adds to the efficiency of the fisher. As compared to other products, the Zebco Omega Pro is quite cheap. This is because it comes with high levels of quality, flexibility, and convenience. From the above, it is clear that the Zebco Omega Pro possesses numerous pros. Purchasing this product, therefore, means that you will have an awesome fishing experience, regardless of whether you are an amateur or a professional. The Zebco Omega Pro’s recovery time is a little bit slower at times. However, this is quite a minor issues and does not affect the overall performance of the product. Besides, amongst the top-rated spincast reels in the market, the Omega Pro is able to perform well above them. It is common to fishers that a high ratio will consequently lead to quick retrieval while a low ratio tends to make a product slower. As such, while Zebco states that it is a highly efficient ratio, this product’s ration seems paltry. However, a point worth noting is that among spincast reels, this is the best by far. It is bound to work in even small and medium ponds. 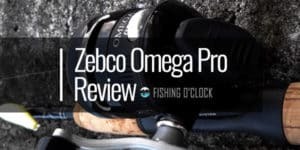 It is clear that the Zebco Omega Pro Spincast reel is a powerful tool that you should possess. It has a great design, it is durable, easy to install and easy to use. These are features that every fisher covets to have in any tool. However, the product has minimal challenges that do not affect its overall performance. Considering the fact that Zebco provides for a lifetime limited warranty which uniquely covers the individual consumer only, it is a great product that is worth the try.